Storage systems revenues fell by 2.9% to $26.6B, while unit shipments of arrays fell 2.8% to 546k. The total installed base stood at 2.0M – around the same level as 2013. 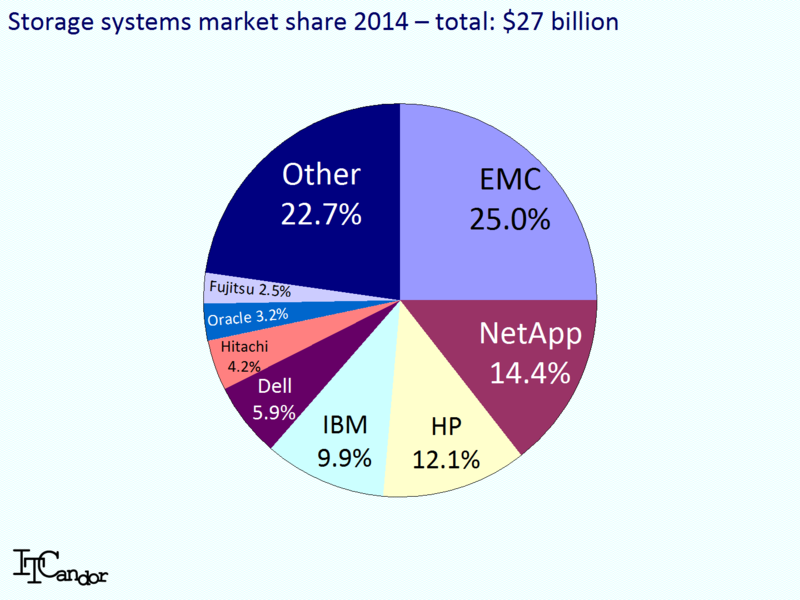 EMC, Hitachi and Dell grew their business, while all other vendors saw a decline in revenues. Click here if you’d like a pdf copy of this report. [Storage Switzerland] What is a Cloud Ready Platform?